So India’s done it! 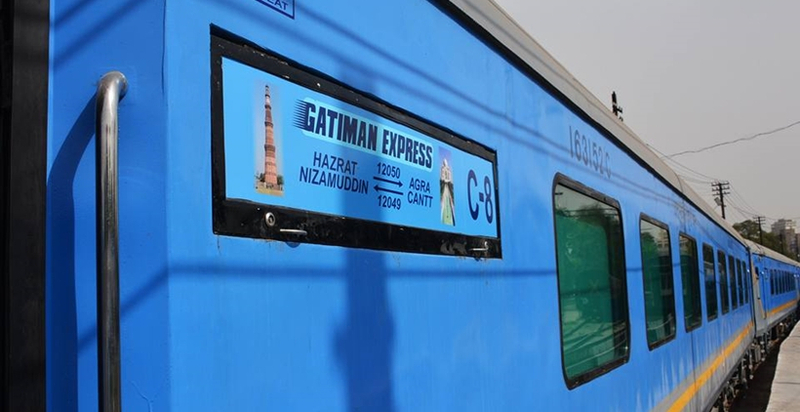 The fastest train yet, Gatimaan Express has started its operations from the Nizamuddin railway. Here are eight things you should know about the train. Gatimaan Express runs at a speed of 160 kmph. It will cover 188 km, that’s the distance between Delhi and Agra in only 100 minutes, and nearly 20 minutes earlier than the current Shatabdi Express that takes the same route. Tickets are going to be priced at Rs 750 for AC CC and Rs 1,500 for executive CC. This is approximately 50% higher than the tariff for Shatabdi Express — Rs 515 for AC CC and Rs 1,010 for executive CC travel. 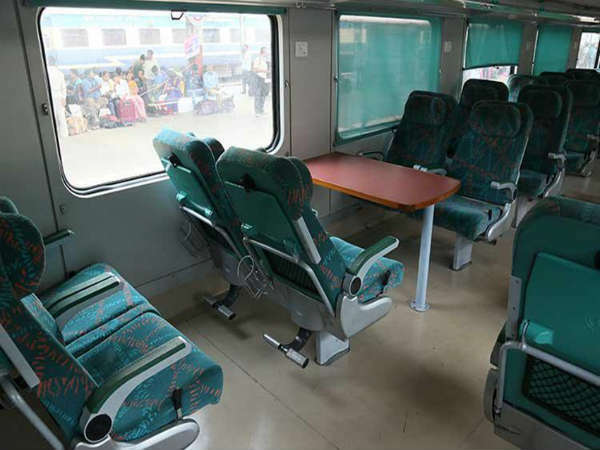 The train will be run with 10 coaches, including eight air-conditioned chair car (AC CC) coaches and two executive class bogies, with a total number of 715 seats. The train has 8-inch LCDs stuck to the back of every seat. There’s free WI-FI too! 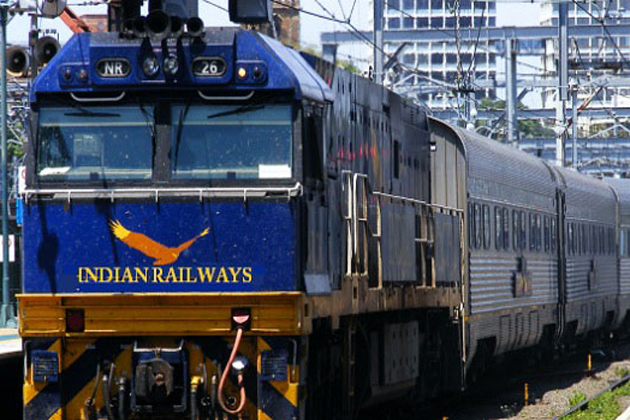 The Nizamuddin-Agra-Nizamuddin train will run six days a week except for Fridays on both directions. It will start its journey from Nizamuddin at 8.10 am to reach Agra at 9.50 am. 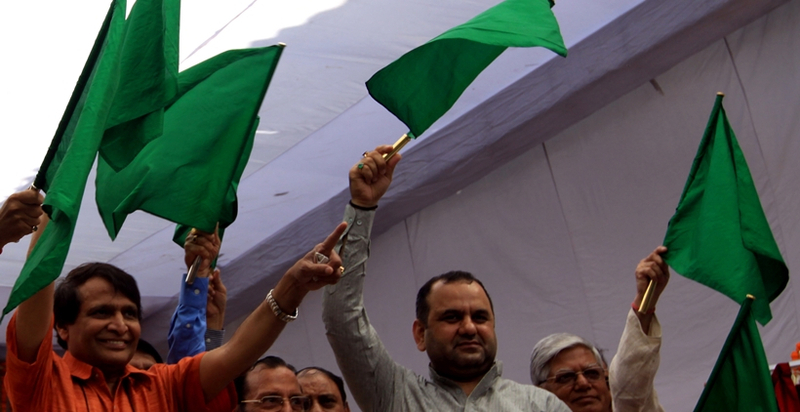 In the return direction, the train will leave Agra at 5.50 pm to reach Nizamuddin at 7.30 pm. So a tourist can complete a trip to Agra in one day without having to worry. 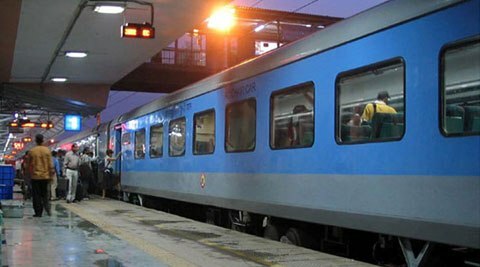 Indian Railways plan to roll out more fast trains on nine more routes that include Kanpur-Delhi, Chandigarh-Delhi, Hyderabad-Chennai, Nagpur-Bilaspur, Goa-Mumbai and Nagpur-Secunderabad. The Gatimaan will have the most exquisite services, matching the flight services in catering. 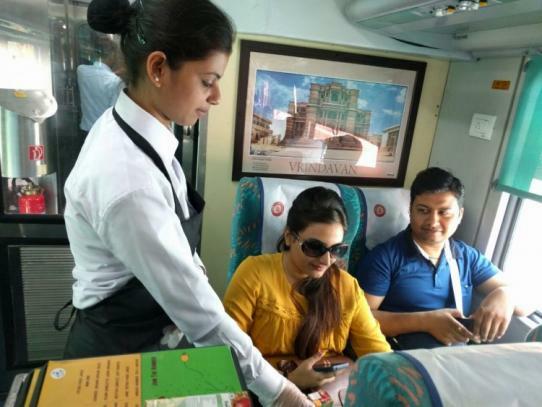 Since the fare will be a lot higher than Shatabdi Express, catering services in Gatimaan Express will also be better. Catering will also match the standard of airliners and passengers will be greeted with flowers. Indian and continental cuisine will be served. An assortment of food will be there to choose from. A few of the decided food items consist of wholewheat upma, mini dosas, Kanjeevaram idli, fresh cut fruits, aloo kulcha with swiss roll, roasted dry fruit and chicken roll. Chicken sausages with Spanish egg white omelette and date walnut slice cakes will also be served in bone china crockery. 7) They care for you. 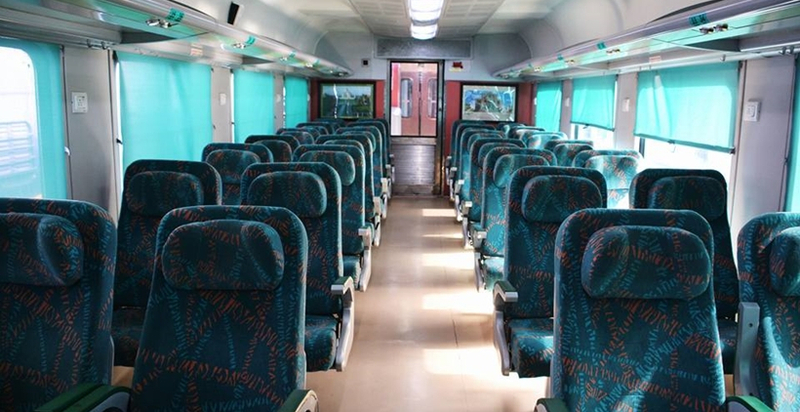 Gatimaan Express is India’s first ever train to have hostesses taking care of the onboard housekeeping services. 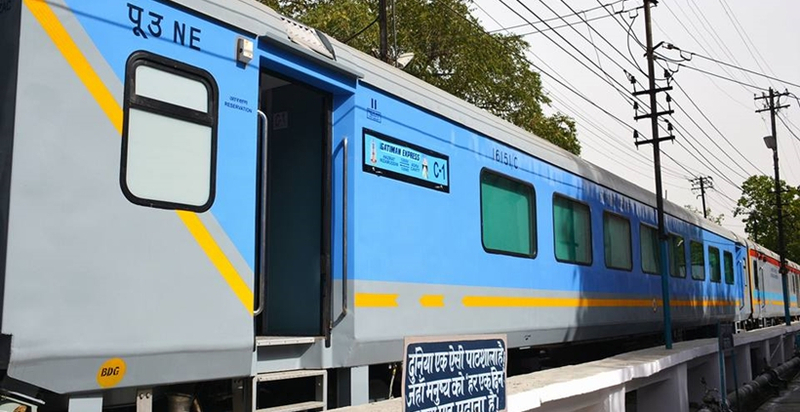 Travellers willing to take a tour of Agra can opt for various travel packages that are being offered by the IRCTC portal at the time of booking tickets for the Gatimaan Express. Passengers have the option of choosing either the full-day Agra Guided Tour Package (City of Love and Heritage) or 1N/2D Package (with stay in 5-star hotels).